Abstract: Widowhood has long been recognised as a complex social status for medieval women: widows were granted legal rights and exercised authority unavailable to married women. At the same time, without the benefit of male protection, widows were exposed to a number of hazards. However, the means by which medieval widows manipulated their position for their own gain or protection – through remarriage, choosing to remain single or other means – has rarely been explored in the medieval context. This paper addresses the question of widows’ status by exploring the political and personal manoeuvrings of Alice de Lacy, countess of Lincoln and Salisbury. The widow of Thomas, earl of Lancaster, Alice found herself in a precarious position after her husband’s execution for treason in 1322. Widowhood made Alice vulnerable to many of the dangers experienced by single women, including loss of lands and income, as well as abduction. At the same time, she was able to exercise a large degree of personal autonomy, managing her remaining property and making her own choices in terms of remarriage. This paper will examine three key periods of Alice’s widowhood – the aftermath of Thomas of Lancaster’s execution, her second marriage to Sir Ebulo Lestrange, and her abduction by and third marriage to Sir Hugh de Frene. I argue that, while Alice de Lacy experienced many of the problems that we might expect of a fourteenth-century widow, she also manipulated her status to circumvent the system that constrained her actions. 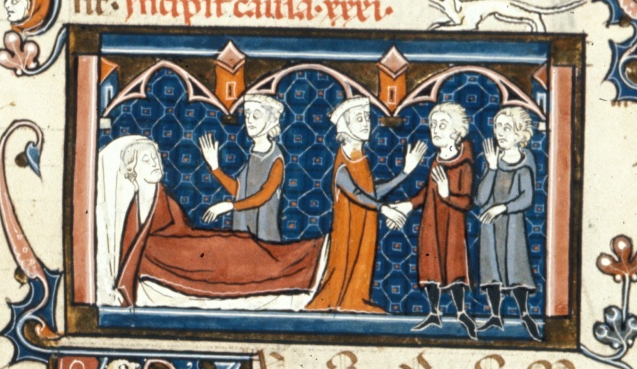 By exploring the many avenues of power available to Alice de Lacy, I shed light on both the hazards and possibilities of medieval widowhood.